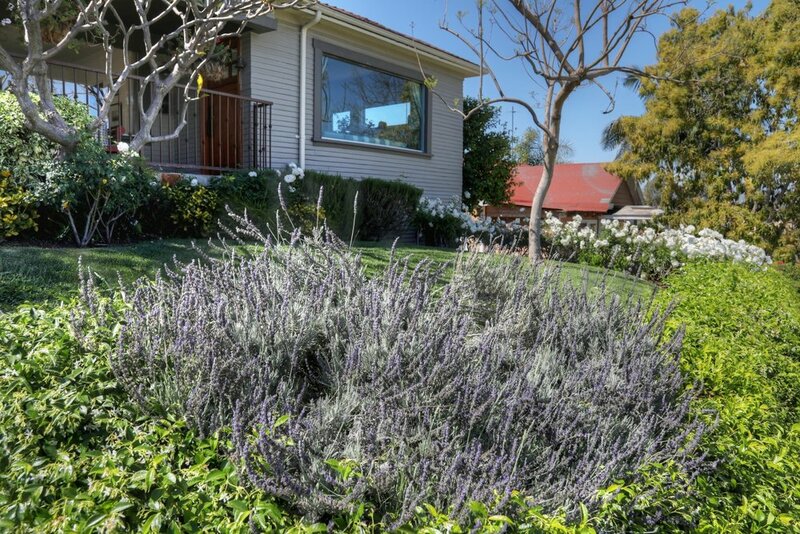 100 roses adorn this Darling 1920 storybook Craftsman on a private & serene stretch of Lucerne Blvd. Gated at Pico to deter traffic & perched atop a gentle slope the property captures Northwest Views of the Hollywood Hills & evening sunsets. Clever floor plan includes Sun-Drenched Living Room w/Picture Window, Gas Fireplace & Dining Room w/Adjoining Office Nook. Gracious Eat-In Kitchen and Laundry Hall. 3 Generously-Sized & Light-Filled Bedrooms, Inc. Master Bedroom w/En-Suite Bath. Wide Driveway Gated for Privacy & Locking Tuff Shed for Storage (no garage). 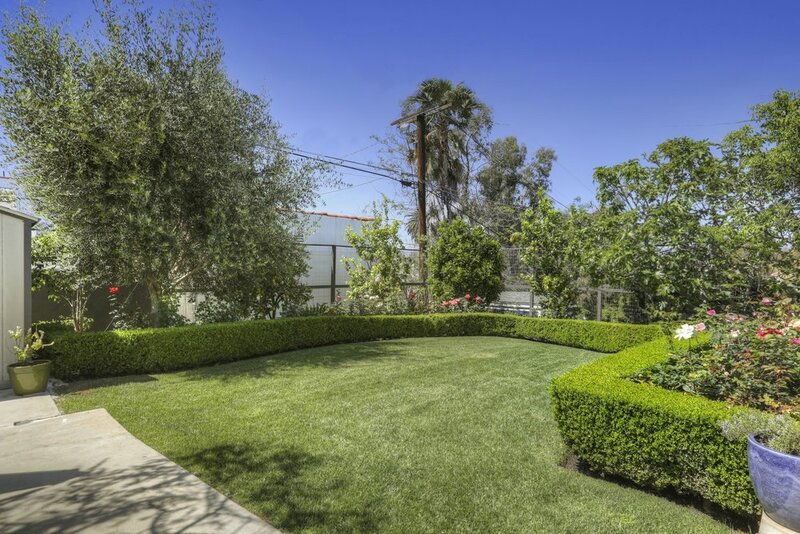 Stunning & Mature Garden w/Fruit-Bearing Fig, Orange & Lemon Trees. Beautiful Lawns & Carefully Positioned Roses Create a Tranquil & Loving Sanctuary. Upgrades Inc. Bolted Foundation, Newer Roof, Copper Plumbing, Updated Electrical, & HVAC. 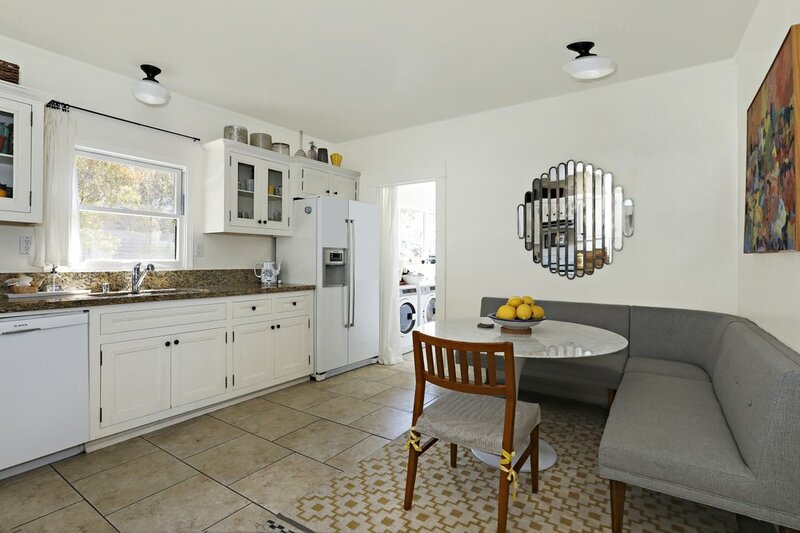 Larchmont close & easy commuting from this central location, full of ambience and pride of ownership. This block is a hidden treasure!